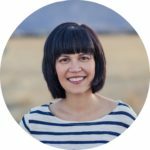 I was raised by a busy single mom. But every year she took extra time off during Christmas Break to spend with my brother and me. Family time got harder to come by as we got older. Jobs, friends, and other commitments got in the way. However, my best memories – the ones that make me all fuzzy inside – involve holiday baking, watching movies, playing games, and just hanging out. Together. Spending time with your children, even older ones, is so important. Studies have shown that kids who spend quality time with their families have higher self-confidence, better relationships with their parents, and are less likely to experiment with cigarettes or drugs. Mic drop. It’s also a great way to get your teen to open up and talk to you. So, what plans do you have for your kids’ Winter Break? If you have a teen, how much time do you plan to spend with him or her? They may be making plans already, so schedule in some time together now! If you have multiple kids at home, try to get some quality time with each alone. It doesn’t have to be a whole day – just a few hours of one-on-one time can be special. While I mostly recommend just kicking back and having fun over Christmas Break, you can also sneak in some learning. 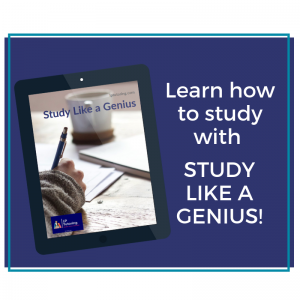 Make connections between the activity and what your teen is studying in school. Or try to learn something new together! We’re all busy – I know it can be hard to read everything you want. So, save this to read later. Get the FREE reference guide below! Get out during Christmas Break! Exercise is so good for everyone, especially after stuffing yourself with holidays goodies. If you live in a cold climate like I do, hit the slopes or go ice skating as a family. If you live in a warmer area, play touch football or go for a hike. Or if you’re a crazy Coloradan, go hiking in the snow. Just grab the hats and mittens and go outside. In many cities, there is a city tree or lights show. Here in Denver, both the Botanic Gardens and the Denver Zoo have lights displays. To save money, just drive around your neighborhood to see your neighbors’ lights. I still remember those drives with my family. Winter break is a great time to visit your favorite museum or discover a new one. Think beyond the big museums; they are a ton of small, local museums that are absolute gems. (Says the lady who used to give tours at a small house museum. Hi Lee-Fendall House!) If possible, try to tie the museum trip to something your teen studied recently in school. You – and they – will get much more out of the trip! Volunteering as a family is an incredible way to spend time together AND give back to the community. Many charities provide family volunteer opportunities around the holidays, so check out Volunteermatch.org for opportunities in your community. Volunteer experiences can inspire deep conversations with your teen about your family’s values, problems in society, and how they can make the world a better place. This is a great time to try out a new hobby together. Take a music or dance lesson together. Ready to learn to knit? (I can totally help you there!) Try a new sport. Yes, trying something new is always nerve-wracking, but you have a buddy. Plus, you are modeling great behavior for them. And even if you both stink at it, at least you’ll have a great story. 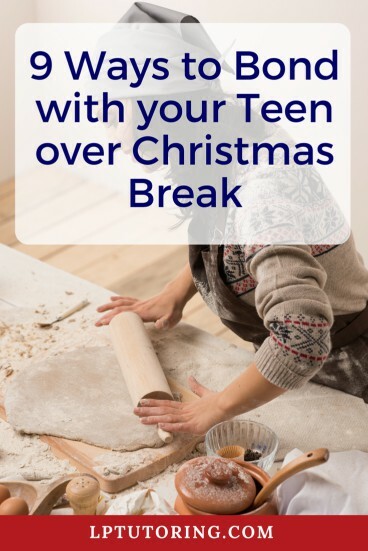 Stay in during Christmas Break! Holidays movies are a must. A Christmas Story and Home Alone are on heavy rotation in our house during December. Allow your teen to pick something for both of you to watch. You might be surprised by what he or she picks. My students have given me great recommendations in the past – thank you to whichever student told me to watch The Man in the High Castle! You can try to sneak in something educational, too. Is there a movie version of a book they read last semester? Is there a movie about a historical event they’ve recently studied? Watching the movie version can start an interesting conversation about the differences between the two or which one they think is more powerful. You knew this would be on my list, right? Some of my favorite memories took place in my mom’s or grandmother’s kitchens. Get your hands dirty and bake or cook with your kids. It’s also a great time to sneak in some fractions practice by doubling or halving a recipe. If you don’t know your teen’s friends, it’s past time to start! Invite one or two over for a family dinner and game night. Your teen’s friends have an enormous influence on your child (though you still have the most!) Get to know them better. Gather the kids and a board game for an old-fashioned family competition. My husband’s family plays marathon Monopoly games together over Christmas and my cousins are known for their late-night Risk games. Nothing can bond your kids faster than competing against you in a board game. If you haven’t already gotten the Reference Guide, grab it below! How will your family spend time together over break? Let me know in the comments below! New Year’s Resolutions for Teens: How to make and keep them! I love this list. My favorite holiday memories are shopping with my grandmother for a sponsor family that we chose every year and marathon cookie baking with my step-mother. This post officially has me excited for Christmas! Writing the post brought up all those memories for me – it was really fun to write! As a former school teacher and administrator I think these ideas are great! 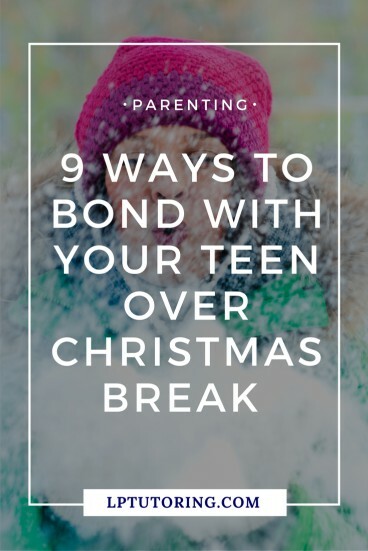 The break between semesters can be such a rewarding time and even though teens often don’t admit it, they do long for connection with their parents (even if they are like prickly pear cactus at times!). I’m sharing this in a roundup post to publish on 12-16-17. Thank you so much!I agree that most teens won’t say anything, but they want to spend quality time with their parents.